It does not matter whether you have been naughty or nice, all the boys and girls of Red Sox Nation received the greatest gift of all when the Olde Town Team brought home the 2013 World Series. We here at Red Sox Life are reliving all that was one magical season. The third day of Soxmas: June 18 - Jonny Gomes hits a walk-off, punts Sox to win. 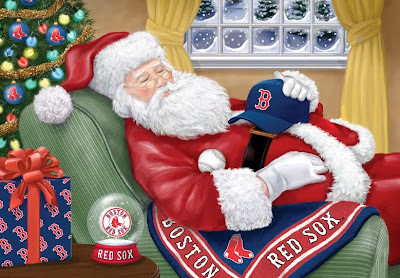 Happy Holidays from all of us at Red Sox Life.